One of the things that always bothered me with the lever harp was that the glissandos were never like those of the pedal harp. 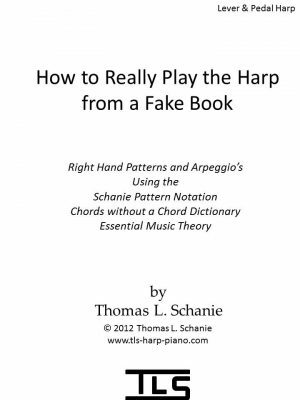 This is because on the pedal harp one can make the two or three string changes required for the glissando, over the entire harp very quickly using the pedals, and then change them back just as quick. 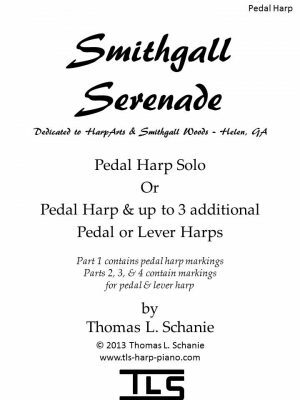 This is just not possible on the lever harp, so most of the glissandos on the lever harp are usually scale glissandos that do not sound the best. Looking at all of the pedal harp glissandos, I found five different ones that can be played on a lever harp. 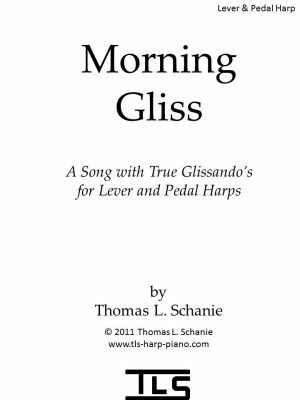 After I set the lever harp to one of these glissandos and started playing the notes, I heard Grieg’s Morning Song, and discovered that it could be played in each of the five glissando settings. From there, I worked out how to move from one glissando to another with only one set of lever changes. After that, I set up a progression to move through all of the glissandos. 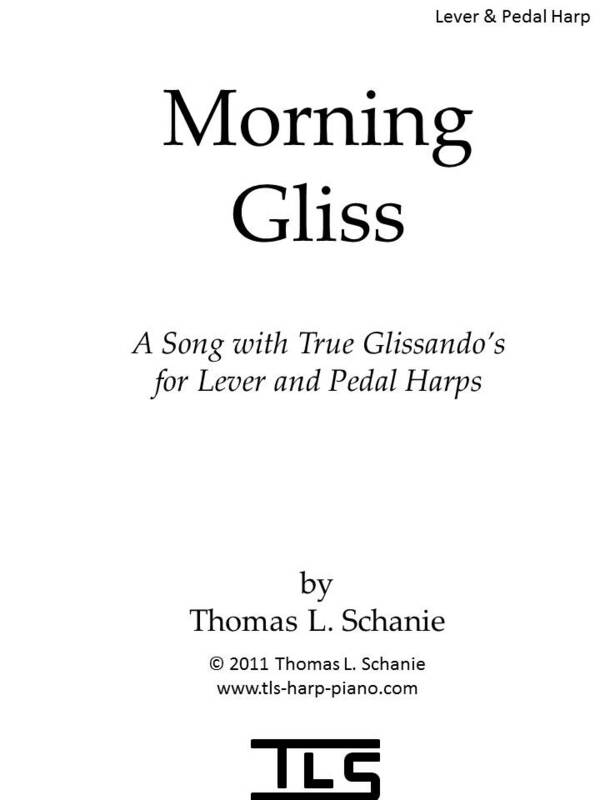 In all of the glissando sets except one, I wrote Grieg’s Morning Song melody with a left hand accompaniment, and then I added a few measures of music that I wrote. In one of the glissando sets, I did not use the Morning Song melody because although the glissando was different, the Morning song melody was played on the same notes, so I wrote an entirely different melody. If you want to play glissandos the way they are meant to be played, then this is the song for you! This song can be played on a lever harp with at least 33 strings from 6th octave C to 1st octave G as well as a pedal harp. Lever and pedal changes are included for both harps.